Dogs can be affectionate, loyal pets but they are capable of more than playing fetch and enjoying belly rubs. 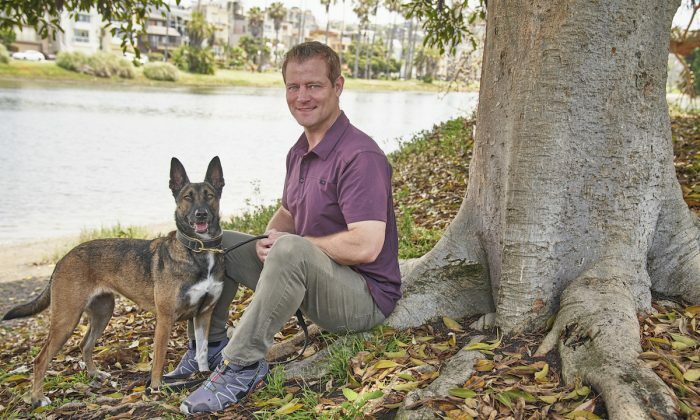 Canines are invaluable partners for military and law enforcement when it comes to narcotics detection, explosive detection, and personal protection. One man has been training canines for the last 27 years, and it all started with his own childhood dog. Jeffrey Scott Franklin is a 47-year-old United States Marine Corps veteran and retired police and SWAT officer from Virginia Beach, and has had an affection for dogs ever since he was a child. One of his teachers in school was a retired canine police officer, and would tell Franklin and the other students about his time on the job. Franklin harassed his teacher to bring his dog to school for about a year until he obliged. The next step was to repeatedly ask his parents to get a dog, but they were concerned he wouldn’t take care of one and they didn’t want the additional responsibilities. Franklin cleverly waited until his father was out of town to isolate the other parent, a common tactic employed by children who want a dog and have unwilling parents. Consequently, he was able to convince his mother to let him take a dog whose owner didn’t want it anymore. Franklin took the dog, named Lady, and began studying at the library to learn how to train her. He then started training friends’ and neighbors’ dogs. “She taught me that I didn’t know anything about dogs no matter what I thought I knew. I was lucky enough for me as teenager and growing up into a young adult that I got to do a lot of training with her and make a million mistakes, and she forgave me every time,” Franklin told The Epoch Times. After his service in the Marine Corps, Franklin needed to find a job. He tried a couple of different gigs, and hated all of them. That’s when he had the idea to start training dogs professionally, and Cobra Canine was born. The name of the business is derived from the Cobra helicopters that helped keep him alive during Desert Storm. 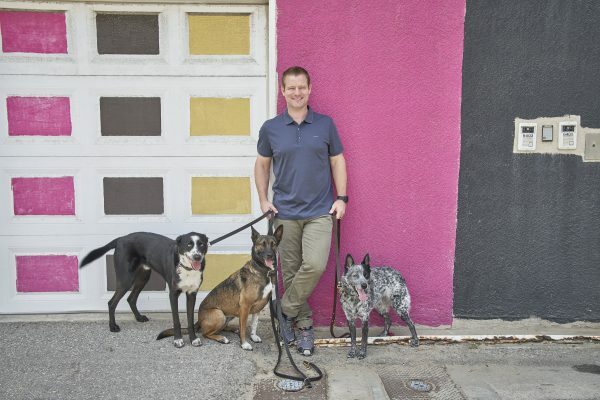 Initially, Franklin started by training pet dogs and teaching owners how to handle them. 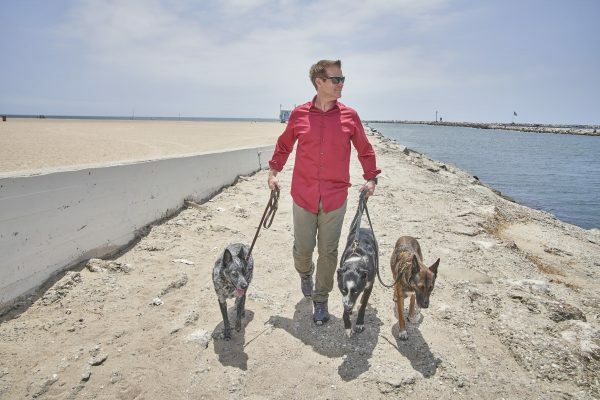 Then he began training dogs for police, SWAT teams, and the military whose needs include tracking, personal protection, apprehension, drug detection, and explosive detection. Training dogs to perform these tasks involves making the training like a game for them, because dogs are naturally playful. For instance, when it comes to detection Franklin gives the dog an odor to go find. The canine uses its super sense of smell, finds the odor, and issues a response, which means they sit down once they find the odor. Then they get a reward like a treat or a toy. When it comes to apprehension, it involves teaching bite training. Certain breeds of dogs are more genetically predisposed than others to want to bite, and its always important to find the right breed. Even if its the right breed, more often than not the dogs is not qualified to be a K-9. Again, the training is a game for the dog. The trainer wears a bite suit, and the dog bites because its fun. Franklin also trains the dog’s handlers. Different jobs require a different amount of training time for both dog and handler. For a detection canine, there are 10 weeks of training for the dog and four weeks for the handler. When it comes to working with multipurpose canines, dogs that can apprehend, protect, and detect, training time is 14 weeks for the canine and six weeks for the handler. In any case, formal training for the dog should start at 1 year of age. Franklin’s favorite breed is the Belgian Malinois, but he also trains German Shepherds, German Shorthaired Pointers, Labradors, and occasionally Golden Retrievers. Each of these breeds are suited for particular tasks based on their nature and genetics. Labradors aren’t suited for protection or apprehension because they will not bite a person. However, they are excellent at detection. On the other hand, a Belgian Malinois loves to bite, which makes it an excellent breed for apprehension and personal protection. Even though it’s his profession, Franklin develops an emotional attachment to the animals. “The toughest part is these dogs don’t live long enough. One of my happiest moments is when I get to see a dog that’s served its country for seven, eight, nine years and it gets to home and have a retirement life,” Franklin said. Franklin works with police departments across the country, the United States military, and police and military in Central and South America. As a result, he’s had some wild experiences. He vividly remembers his first few apprehensions as a young police officer. Another of Franklin’s memorable experiences was when he was working with the Ecuadorian military. They were using a canine to try to rescue a woman when he and his Ecuadorian translator had to bail out of his Toyota pickup truck and flee through the jungle from gunmen who were after them. Despite the dangerous facets of Franklin’s career, there’s one aspect he enjoys the most. 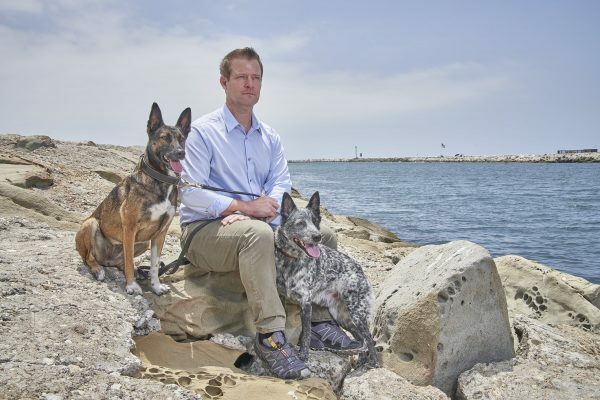 “When you hear the dog’s doing things that are saving peoples live’s and they’re also helping combat against terrorism it’s pretty rewarding,” he said.